businessman Gary Giordano has been released from jail in Aruba after nearly four months of detention as a suspect in the disappearance of his traveling companion, Robyn Gardner. Giordano is now free to leave the Dutch Caribbean island but his immediate plans are not clear. Prosecutors still consider him a suspect in Gardner’s presumed death. He left the jail with his lawyers. A judge allowed his pretrial detention order to expire Tuesday, ruling prosecutors failed to present enough evidence to continue holding him as a suspect in the presumed death of Robyn Gardner. Kelly Reed, a cousin of Gardner’s, said the family hopes attention to the case will generate a lead that will help investigators resolve the case. Giordano, the divorced owner of an employment services company, first drew suspicion with what investigators felt were inconsistencies in his account of Gardner’s disappearance. Later, they learned he had taken out a $1.5 million accidental death policy on her, which Stein said was viewed as a possible motive. Once back in the U.S., he would be free to file a claim to redeem the American Express travel insurance policy he took out on Gardner. No claim would be paid if it turned out there was fraud or “anything untoward” that would void the policy, she said. Investigators do not believe Giordano’s account of Gardner being pulled out to sea, based on weather conditions and a re-enactment. “We know he has been lying about what happened … We know his story is not true,” Stein said. 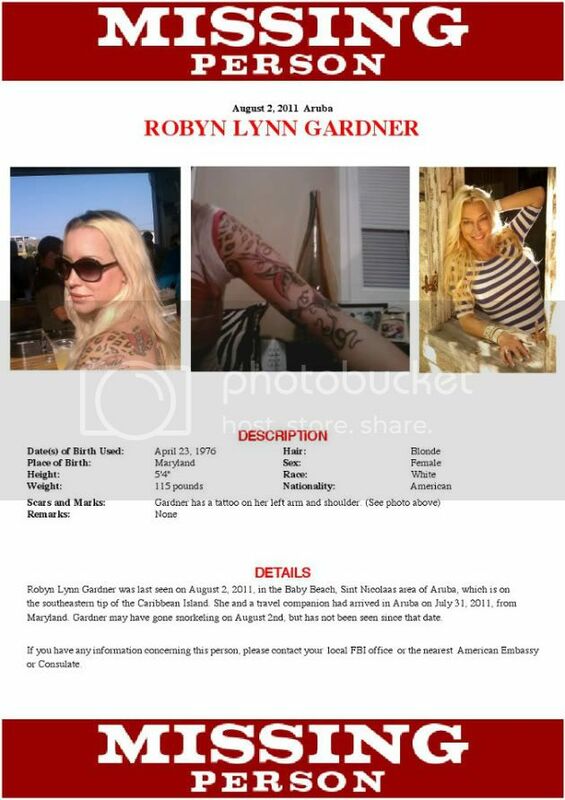 MISSING IN ARUBA...Let's do something for Robyn..for the next 4 weeks..every single day.. Let's FLOOD the FB feed's with Robyn's FACE!! and POSTER. Let's submit (with all of our friend's) .. For ROBYN, and just maybe, that one single person who might know something... who hasn't came forward. AH, the old kidnapped to Venezuela theory. People will say they saw her. In this photo she looks like a million other bleached blondes (no offense to her as I am also a bleached blonde). 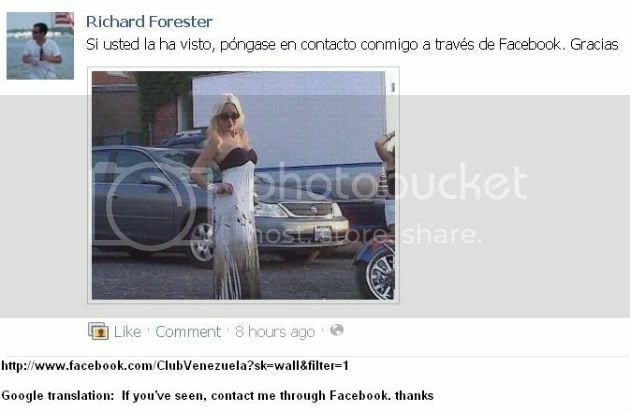 Just saying that she isn't strikingly different looking and so I'm sure people will think they saw her. Wednesday the court denied the request by Aruba's Public Prosecutor, which was appealed the decision by the judge of instruction to release Gary Giordano. The Public Prosecutor disagreed with the decision to free Giordano, the only suspect in the disappearance of Giordano's travel partner Robyn Gardner. The prosecutor had wanted the court to handle the appeal before Giordano was released on Tuesday, a request which was denied. The court's decision cannot be appealed. The investigation continues and if a case is to be initiated, a request for Giordano's extradition will be submitted. This will not be a request for arrest, but for him to be present during the court case. Pictures and video from last night, Gary Giordano leaving KIA. Is that Julia Renfro? I saw the legs spread and thought hmmmm. And that's Gary's dad in the blue shirt. I thought it was last night but I wasn't sure. This picture description identified him. Yes, Gary Giordano is going to be on Good Morning American tomorrow morning. My guess is Baez will be holding his hand. Just days after being released from an Aruban jail, Gary Giordano, the lone suspect in the case of his missing travel companion Robyn Gardner, tells his side of the story exclusively to ABC News’ ”Good Morning America” tomorrow, Thursday, December 1st. Giordano, who was released without being charged and is on his way to America as a free man today, will address for the first time his four months as a suspect in Gardner’s disappearance. Baez will probably take Gary on any show that will have them, and then he'll immediately start complaining about the press. 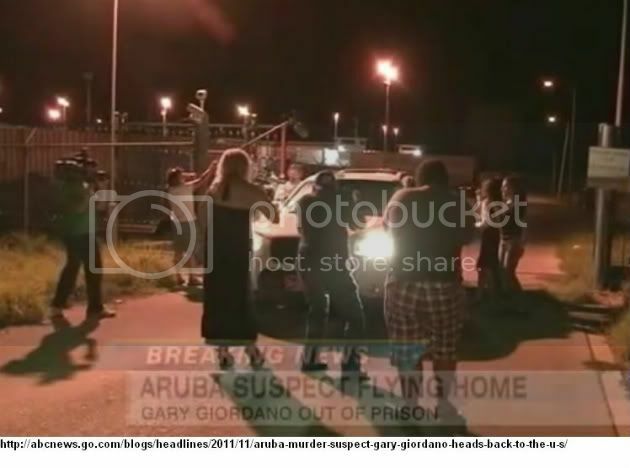 Aruba Murder Suspect Gary Giordano Heads Back to the U.S.
After nearly four months in an Aruba jail, Gary Giordano in on his way to America as a free man today, released without being charged in the disappearance of his travel companion Robyn Gardner. 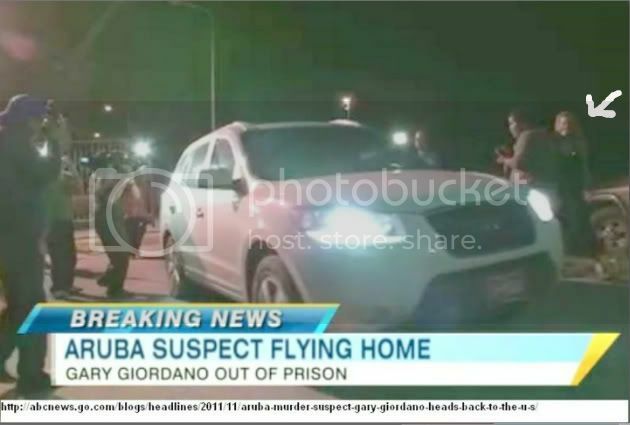 In his first free moments after being released from prison Tuesday night, Giordano was swarmed by reporters and heckled by Aruba citizens, who yelled “murder” at him as he went into a hotel. Giordano, 50, was held as a suspect in Gardner’s disappearance, although no body was ever found or any evidence that he played a role in her disappearance. 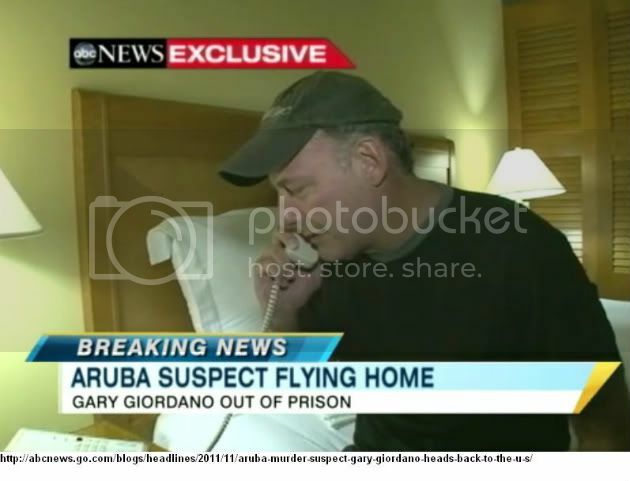 In his first moments after being released, Giordano allowed ABC News to witness his first phone calls to his three children, and his gratefulness to his attorneys. 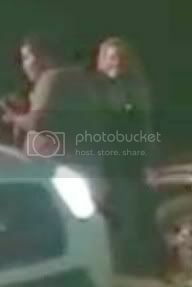 In the video at the link you can hear someone shout "murderer". And you can tell that who I thought was Julia Renfro, definitely was her in her signature black tube top dress.